We made this work for a little show "Red®um" that is meant to feature artworks inspired by Stanley Kubrick's 1980 classic The Shining, a movie which is in turn based on the novel of the same name by Stephen King. 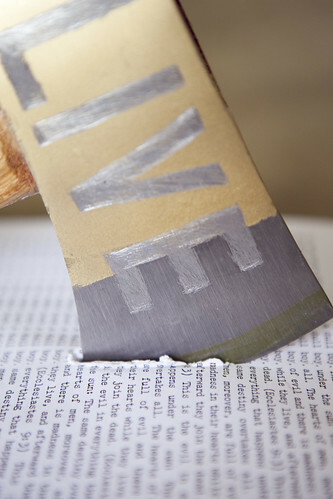 The work comprises an axe whose blade has the words "EVIL" And "LIVE" carved on either side, and a stack of A4 paper with two columns of text. 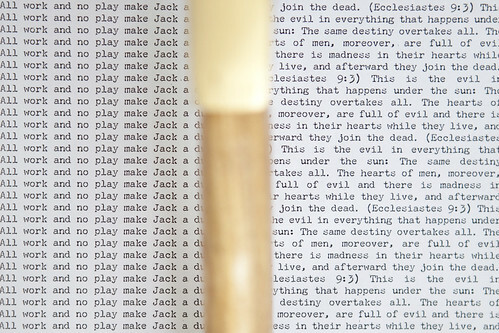 The left column is character Jack's famous composition "All work and no play make Jack a dull boy" and on the right, the bible verse Ecclesiastes 9:3 "This is the evil in everything that happens under the sun: The same destiny overtakes all. The hearts of men, moreover, are full of evil and there is madness in their hearts while they live, and afterward they join the dead". We are not fans of the horror genre. But there's something fascinating about the genre's narrative descent into a chaotic violence that appears to challenge the "normal" order of things, but at the same time, reinforces an almost simplistic and inevitable moral pattern. We tried to explore this tension and narrative logic in this work. Paper/Weight is available at $237. 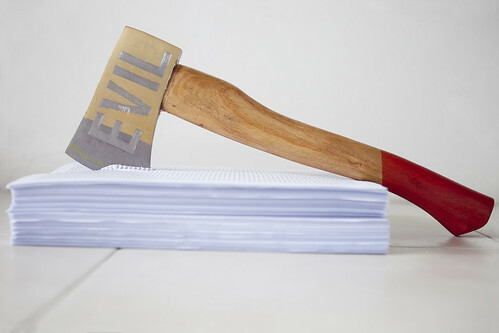 It works perfectly as a paper weight, but will also come in handy when the office's paper shredder or letter opener won't do their job...or when you encounter *the client from hell*.